Mario Party DS sticks far closer to the tried-and-true format of the console games, unlike its GBA predecessor, which is to collect stars in order to obtain Superstar status and play against a boss. There are 5 playable maps and 72 minigames. 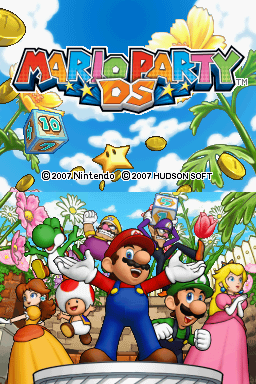 This is also the last Mario Party game to be developed by Hudson Soft. Screenshots of sub-menus, regional differences and more details. In the main menu, press Select. "Touch the screen to begin!" will appear, then press A.
MultiBoot Parent Sends the multiplayer game to clients using DS Download Play and/or the MultiBoot Client entry. It works and the player that used this will have "WID:0" in the lower right corner of the bottom screen after successfully connecting with other clients and sends you to the debug menu again, and all minigames behave like multiplayer properly. (DS Download Play capabilites not tested). MultiBoot Client Searches for parents. This presence of this option is odd because the multiplayer game can only be accessed through DS Download Play. Board Entrance Goes to the Party Mode menu. Extra Draw & Catch Starts a game of Pen Pals, also known as Draw and Catch. The first AND second player are controlled simultaneously. Extra Color Territory Starts a game of Desert Duel, also known as Color Territory. Again, both the first and second player are controlled simultaneously. Minigame Begins a desired minigame. Selecting an entry filled with ---- will crash the game. Hnishi Begins a party on the desired map. There's an option called Boardmap Debug, probably for a debug map, but there isn't any reference to it in the filesystem, so it crashes. Also, the Tutorial entry displays the tutorial instructions, but can't be played. GUI Menu Crashes the game. The debug menu features a build date which differs between versions. It can be found in the ARM9 binary along with the other debug menu text. 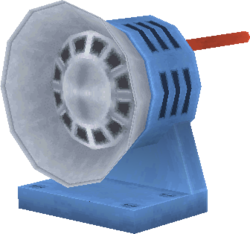 The music box from "Call of the Goomba" has a speaker that can't be seen during the minigame. Due to South Korea banning gambling and its elements in games, there are a number of changes made to this game. Bowser's Pinball Machine's three-slot jackpot game has been simplified into a game where the player has to hit the UFO when it lands on the center (and if it gets hit faster, the player gets more coins). The coin roulette game also has been changed into a Whack-a-Mole game where hitting Bowser or Bowser Jr. gains coins, and hitting Bob-Omb decreases the amount. Shuffleboard Showdown and Chips and Dips were removed. This page was last modified on 5 April 2019, at 16:07.